Thinking of a beautiful Mediterranean island for your next holiday? Perhaps one that sits off the toe of Italy? Seductively beautiful and perfectly placed in the heart of the Mediterranean, Sicily should be at the top of your list. Sicily is the largest of the Italian islands, and has long seduced travelers with its natural wonders and cultural treasures. It boasts wonderful weather, and a diverse range of culinary influences. Natural wonders abound here, and the juxtaposition of sea, volcano and mountain scenery makes a stunning backdrop for outdoor activities. The island is full of history, bursting at the seams with ancient artistic and architectural gems. When it comes to ancient Greek architecture, Sicily actually rivals Greece. There are many incredible reasons to visit Sicily. The following are to name just a few. The beaches in Sicily are some of the best most beautiful in the world, and with wonderful weather, its warm enough to visit the beach for half the year. Glorious summers stretch all the way from May into October, and the mild winter very quickly becomes a warm spring. With over 280 stunning beaches on Sicily, it’s hard to pinpoint a favorite. They come in all forms, and many colors, from town beaches to secluded inlets and coves, and with sparkling azure waters, rugged coastal landscapes, and powdery white sands. If your main reason for visiting is to spend time at the beach, there are plenty of villas in Sicily to rent, most on the Western coast within 5 minutes of the shore. The Western coast is a great base as there are also a number of beautiful nature reserves (Stagnone, Salt Pans of Trapani and Marsala), as well as access to stunning islands like the island of Favignana. Walking through Sicily, history unfolds at your feet. There are an abundance of historical sites, churches, and museums, and many of the cities are some of the best UNESCO World Heritage Sites in Italy due to their dramatic architecture from various time periods. First there is Ragusa; a UNESCO World Heritage Site at the southern tip of the island. Clinging to a steep hillside with incredible views, you’ll find romantic winding streets, narrow cobbled walk ways, charming historic churches, and dramatic medieval architecture throughout. Other baroque towns in the south with the same UNESCO status include Val di Noto, Modica, Noto, and Scicli. Then there is Syracuse, a beautifully preserved historic town, and another UNESCO Site. Syracuse is a dramatic mix of the old and new. It was once a key city in the Greek empire, and ancient Greek ruins are spread all over town. Those searching for Greek architecture should also visit the Valley of the Temples in Agrigento. There are also the Temples of Selinunte; a 7th century settlement which has somehow survived (major pieces of it anyway), despite being wrecked by the Carthaginians, conquered by Rome, and devastated by an earthquake in the Middle Ages. You can tour the ruins and vividly imagine how big the temples once would have been. Sicily is a haven of culinary delights, and foodies, wine lovers and those with a sweet tooth will fit right in. It doesn’t matter where you go, or what you choose eat, from street food to fine dining, the food is guaranteed to be incredible. “Always fresh and always seasonal, the temptation to eat your way through Sicily is overpowering.” And with an emergence of local wineries like Tasca d’Almerita and Planeta, the great wine traditions of Sicily have been reborn. Both Sicily and the regions in Sicily have their own local specialties, though one particular dish deserves a mention of its own. 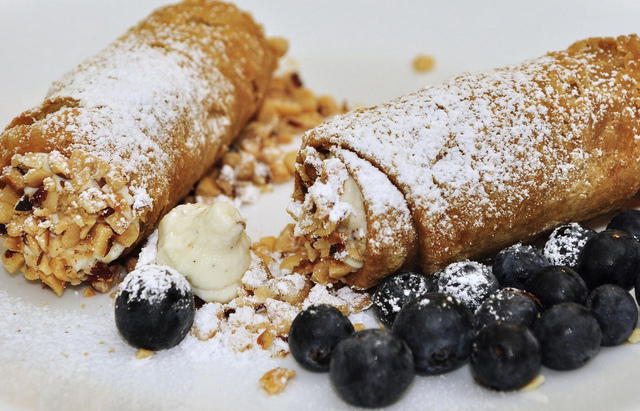 From the Italian for “little tube,” Cannoli is Sicily’s best-known dessert. It is a cone shaped delight filled with mouth-watering sugary vanilla ricotta cheese, provocatively dusted with powdered sugar and sometimes even chocolate ganache. “The true difference between a store-bought Cannoli in any other country and one here is the essential magic ingredient –Succade – the candied peel of any citrus fruit.” – Neecey Beresford. If hiking Europe’s tallest active volcano sounds like somewhat of an adventure, you’re in the right place to do it. Mount Etna sits at 3,323m, and erupts quite frequently, usually sending a dramatic amount of ash in big, puffy clouds ascending over the island and beyond. There are plenty of opportunities to hike the volcano, with treks for all skill levels, and panoramic views which make the journey worth it alone. While snow caps are an unlikely image to pair with smoke and spitting lava, during winter you can choose to ski down the north face of the volcano and jump over lava bumps. 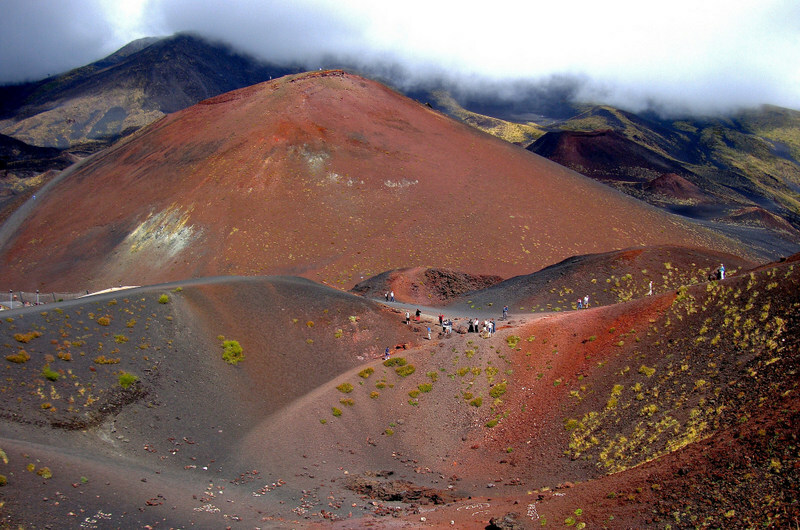 But note that excursions on the mountain are often disrupted by volcanic activity. If you’re lucky enough to witness an erupting Etna, there’s nothing more spectacular (it may just take you a little while longer to fly home!) Bubbles of fire and pods of ash shoot from the depths of this volcano and reach an incredible 11000 feet high up in the air. “At Mount Etna, one of the world’s most renowned wine-making regions, there are few organized tasting rooms. 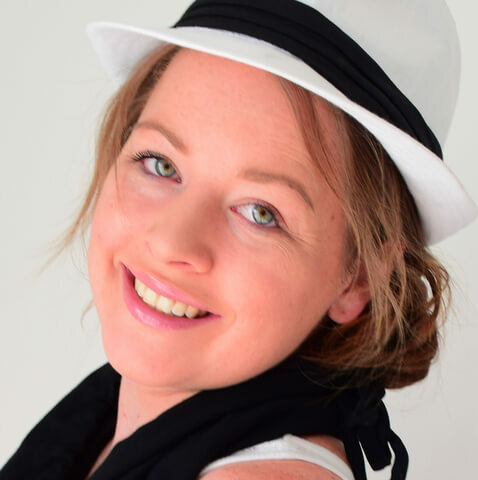 But if you ask, everyone has a friend who can make an appointment for a much more personalized visit.” – Simone Girner. Pro Tip: Learn as much Italian as you can before traveling to Sicily. Locals are kind hosts who are eager to show off their island and make travelers feel welcome, though very few speak English. English is only spoken in touristy areas, and once you get out into more rural areas, the locals speak in Sicilian dialects. The best time to visit Sicily is April to June and September to October. This is shoulder season, and during this time the temperatures are mild and you will find far fewer crowds. Summer is peak season in Sicily, though it is very hot and dry, busy, and extraordinarily crowded, especially in the tourist areas. We highly recommend avoiding travel during August as this is the height of summer. Thinking of a beautiful Mediterranean island for your next holiday? Seductively beautiful and perfectly placed in the heart of the Mediterranean, Sicily should be at the top of your list. Italy: Where to Go, What to Eat & How to Fit In! I want to visit Sicily! I’d definitely need to learn more Italian, though. I plan to spend most of my time in the rural areas. The rural areas of Sicily are absolutely amazing Dana, you’ll have such a wonderful experience. But yes, I absolutely recommend brushing up on your Italian as it can be quite difficult to travel there without it. I think you’re right Valerie! 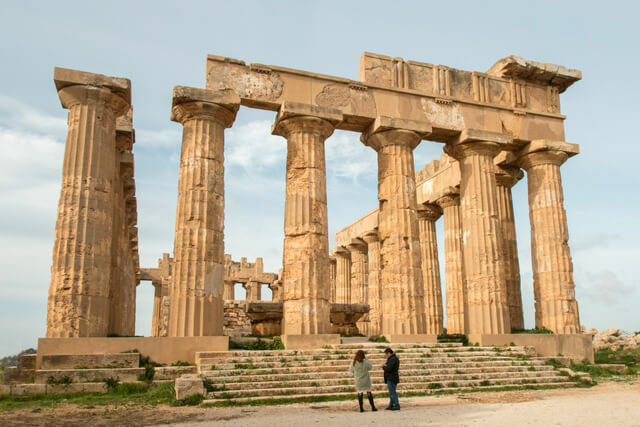 Hope you have the chance to visit Sicily soon – totally different experience to mainland Italy – I’ve found it’s reasonably difficult to get the same level of authenticity on the mainland as too much tourism has taken hold over the last couple of years. Yes, the temptation to eat my way through Sicily IS overwhelming! I would want to stop everywhere to eat. I can’t believe there are 280 different beaches. I have ancestors from Sicily and I’ve always wanted to go, but it seems intimidating for some reason. This info helps! You would definitely be a fan of the food Laura! It’s a foodie’s heaven here … especially if you have a sweet tooth :D! And there are enough beaches to keep you busy for a very long time! You had me at food and wine. But seriously, I would love to go – the beach looks amazing, god, everything looks amazing! Any advice on good hostels in the area? I have a couple of colleagues from Sicily and they always tell me I should visit as soon as possible. Hiking Etna is on my todo list and those World Heritage Sites as well. And the food… amazing! Hope you have the chance to visit soon Hugo … your colleagues are right – Sicily won’t disappoint! We are thinking to head south Italy next summer. Find a nice town to stay for 2 months… I wasn’t thinking about Sicily before, but now I’m considering it, specially that my husband speaks a bit of Italian, so communication won’t be a problem there… Travel decisions, so hard. Thanks for the tips! Let me know if you have any other questions in the lead up to your trip Nat – maybe we can help sway your mind towards Sicily instead of the mainland :D! You had me at ‘hike an active volcano’! I have found that even a bare amount of Italian and lots of gestures is a great ice breaker in the less-visited areas of Italy. I can say grazie mille a bunch and make a friend! Absolutely Julie! When all else fails, a little bit of pictionary and charades never goes astray!! 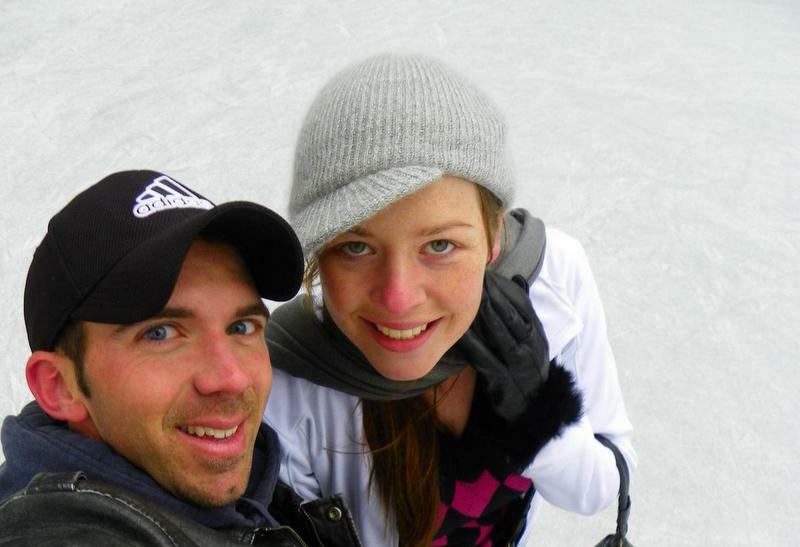 You convinced me with the beaches and history. It looks definitely gorgeous. I would love to visit soon. Hope you do have the chance! I really wanted to make it to Sicily when I studied abroad in Rome but it was unfortunately out of my budget. From the sights to the food and wine I can’t wait to make it back to explore. I love Sicily! I have eaten my way through, testing gelati throughout. Menfi has the best, despite Noto claiming that they do. Palermo is great, but never drive there! It is crazy! Wine is amazing! Cantine Settesoli in Menfi do FREE tours, just email to arrange it. I’m booking to go back for the 3rd time! So glad you love Sicily too Maria!! Heading back for the third time is quite the testimonial – it really is such a wonderful place! We’ve been saving up for a trip across Europe with the kids, which will hopefully happen in 2 or 3 years. We’re definitely visiting Italy along the way, but it’s been hard to choose which cities to visit. Sicily definitely sounds lovely. Hi Marjorie, a trip across Europe with the kids sounds wonderful! You should definitely consider Sicily if you have the chance, it’s an amazing and authentic part of Italy that I’m sure the whole family will love :) Happy travels! It’s a beautiful island full of beaches, love those waters and white sand and climate. Thanks to tell about Sicily, its nice place for a relaxing holiday(:, great place to explore as well as lot of historical places are there around to site see as well. Thanks for sharing the post related to Sicily. Sicily is an amazing travel destination! I really want to go there in the summer!